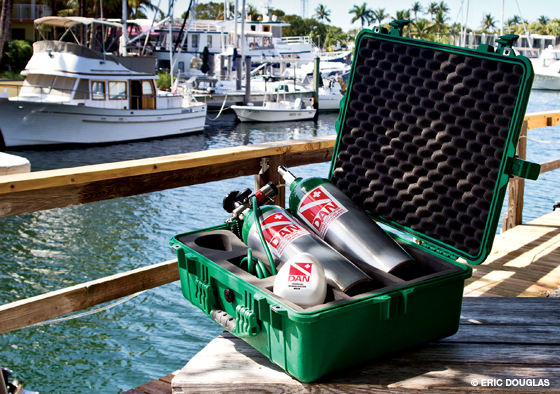 DAN Training courses teach the first aid steps to care for an injured diver and interact with medical professionals. These courses help you gain a better understanding of dive medicine and how to respond to a dive emergency within your scope of practice. They all provide diving medical education using a language that can be easily understood by everybody. DAN courses are developed by a team of Medical and Educational Specialists. Some of the Provider Courses are specifically developed for divers or life guards, while others such as the BLS and First Aid course are aimed at a wider audience. The Oxygen Provider course, for example, teaches students how to provide Oxygen First Aid for Diving Accidents, whilst the AED course teaches the use of AEDs. DAN courses are specialised First Aid courses, the skills and techniques are not just a small part of another course. The students get enough theory and practical time to ensure that they finish the course having gained the confidence to act fast and efficiently in case of emergency. All Dan courses are performance based, not time based. Contact hours can be customised to meet specific individual requirments.